A traditional compact design, the Tripla T2 gives you hot, cold, filtered/or rainwater water, all from just one mixer. 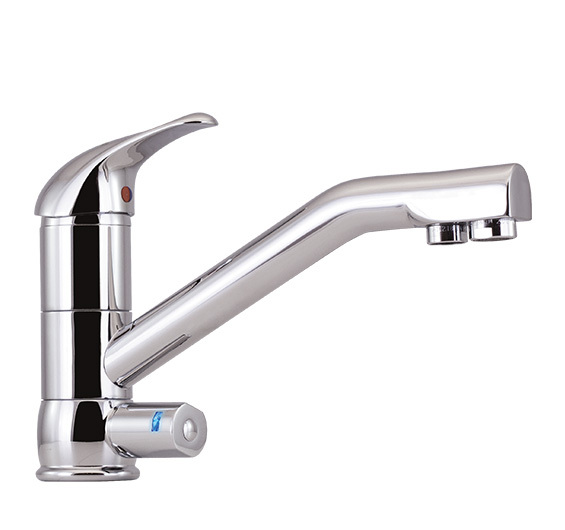 The main handle controls hot and cold mains water, and the lever under the spout controls filtered mains/tank water. Just turn it clockwise and your filtered water is delivered via a separate tube and outlet, inside the mixer itself. There’s absolutely no mixing of filtered and unfiltered water. 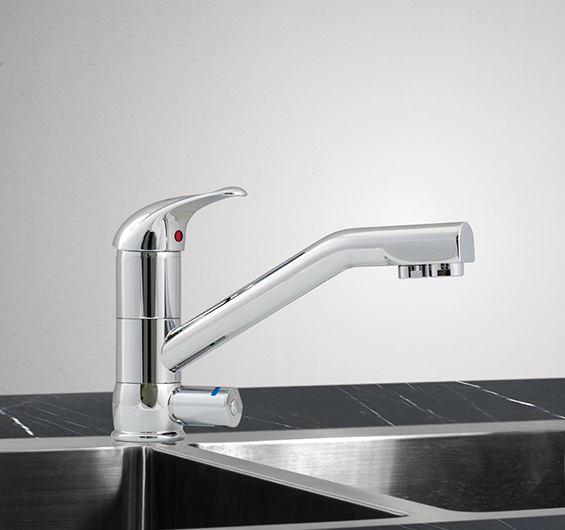 ^Tripla Tapware Warranty is 1 year parts and labour, plus 5 years parts only.